I love to go thrift shopping. 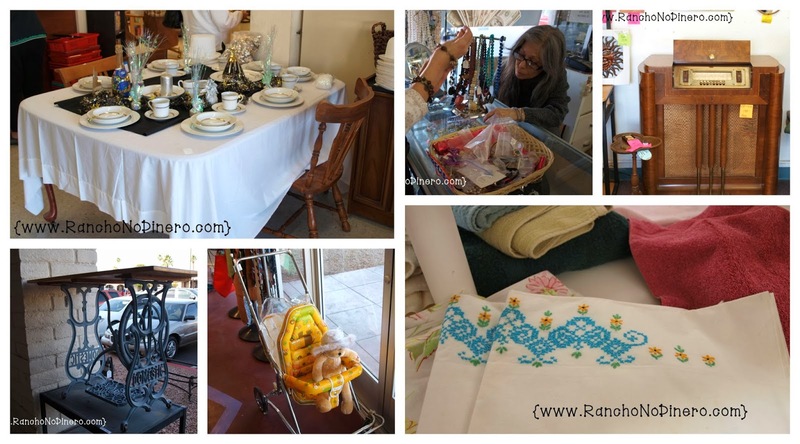 Flea markets, garage sales, estate sales, etc. are great too. I love the idea of donating things I no longer use and how, often, thrift shops are charitable and pay it forward. I have found some great treasures at these types of shops, so I am starting a weekly feature I will be calling Thrifty Thursday. Why? Because if you are not someone who likes the idea of poking through things others have deemed as useless, I hope to help you see thrifting through different eyes. I live (for now) in Arizona. The city where I live is very close to Sun City, AZ which is a retirement community. A very LARGE retirement community that was built on the site of a former ghost town known as Marrinette. You must be 65+ to live in Sun City and there are no children allowed to reside in the community. Children may visit of course, but the community is exempt from paying school taxes and children may not stay more than 9 consecutive months. As of the year 2000 US Census, there are 38,309 residents in the area. In order to afford to retire in Sun City, you must have a nice nest egg. It is not cheap to buy a house in the community and HOA/Community fees are quite high. According the US Census the average income is around $40,000 a year. These are retired folks, so you know they put by well in order to continue to have an income after retirement. Why the stats on Sun City? Well they are the source for a large portion of what is donated to thrift shops around here. One scenario is that they are what we affectionately refer to as "snow birds." Snow birds come to Arizona to ride out the winters from places such as Canada, Minnesota, Illinois, etc. and head back to their northern homes once the heat returns (April and May are common months to flee from the inevitable heat). The second scenario is they pass away. Either scenario leaves folks with lots of things that are no longer needed. Many times the elderly have families that live far from Arizona and they simply hire an estate company to come in and run a sale, but if they do come to clean out their deceased parents home, they often only take things of sentimental value and donate the rest to not-for-profit gift shops. One of the largest around here is the Lutheran Thrift Shop. Yesterday my friends who live on the other side of the valley (about an hour away) drove over to this side to go thrifting at the Lutheran Thrift shop and I tagged along. I just love the mix of the vintage with the brand new or modern. There is everything from fine antiques to newer furniture sets that look brand new and cost a fraction of the showroom cost. I love wandering through and this time I took my camera to take snaps of all the fun, fascinating, and sometimes, very odd stuff. I love the walk down memory lane some of the items take me on. For example, I found a set of dishes I had back when I first got married, 25 years ago. I saw a vintage stroller that looks brand new. I remember those strollers too. I saw hand stitched pillow cases made with love alongside vintage radios families would have huddled around to listen to programs long before television came along. All-in-all, I had a great time and even scored myself a couple of treasures. The Lutheran Thift Shop is a non-profit and it takes up an entire shopping center! There is lots and lots to choose from. 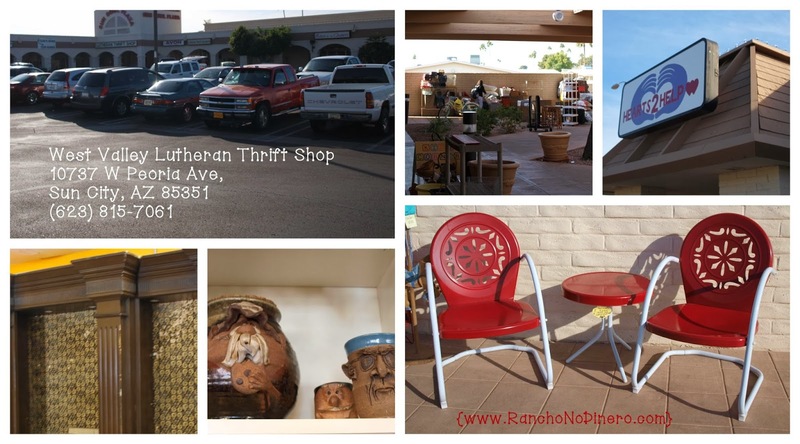 If you are in Arizona, in the greater Phoenix area, you should definitely check out the Lutheran Thrift Shops. They have several locations around the valley in case you don't want to drive to the west valley. If you are moving or have stuff to donate, just give them a jingle on the phone and they will arrange to come pick up all your donated items. Paying it forward while saving some money? Can't beat that!